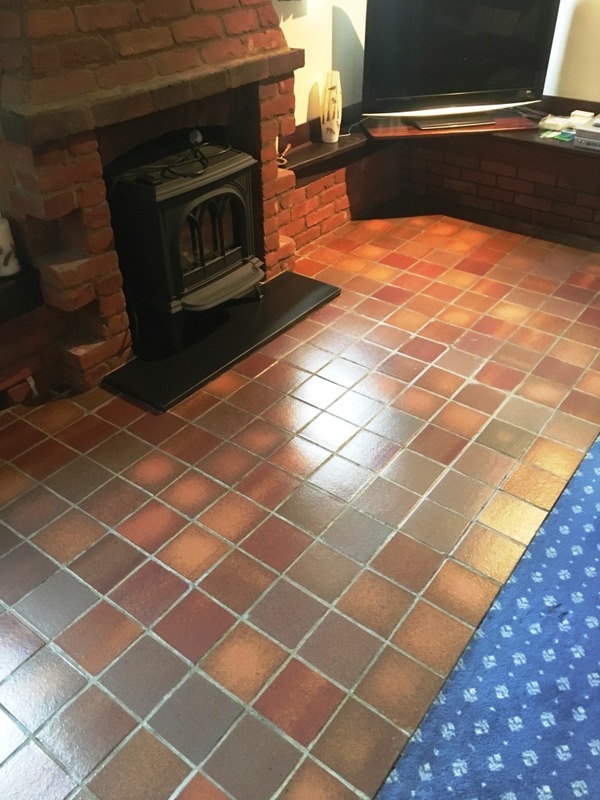 This client who lived in a property in the Village of Outwood had a tired looking Quarry tiled floor in their lounge and asked if we could improve the look of it. I went over to take a look and can see the tiles were situated in front of a brick fireplace and added a nice rustic feel to the room that was well suited to the house. 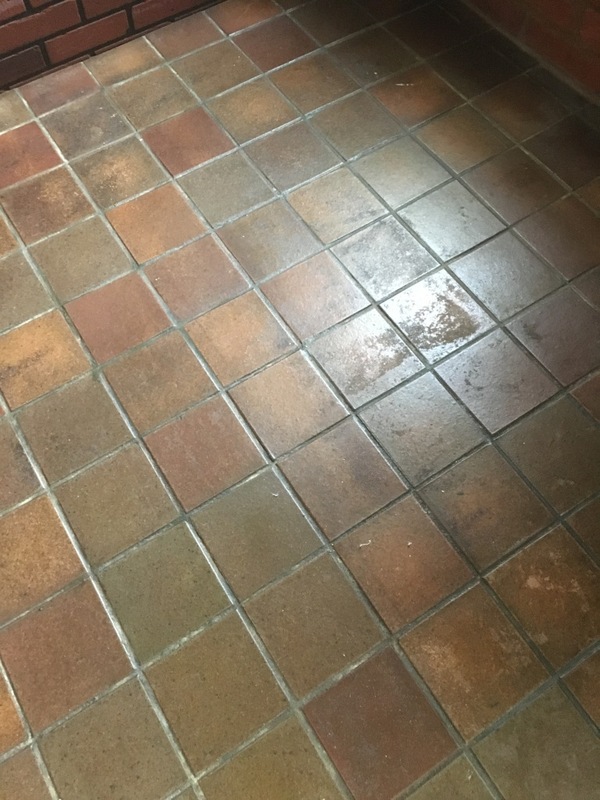 It had clearly been some time however since the Quarry tiles had been given a good clean and seal; the tiles were looking dull and lifeless and the grout was especially bad and had darkened with the ingrained dirt. I could see a deep clean would be required to lift the dirt out so after discussing the process we agreed a date for me to come back and renovate the floor. When I returned to clean the floor my first task was to protect any areas that may be impacted by the cleaning process which in this case related to the adjacent carpet. To be able to reach into the pores of the tile and grout and lift out the dirt I needed to remove any remaining sealer. 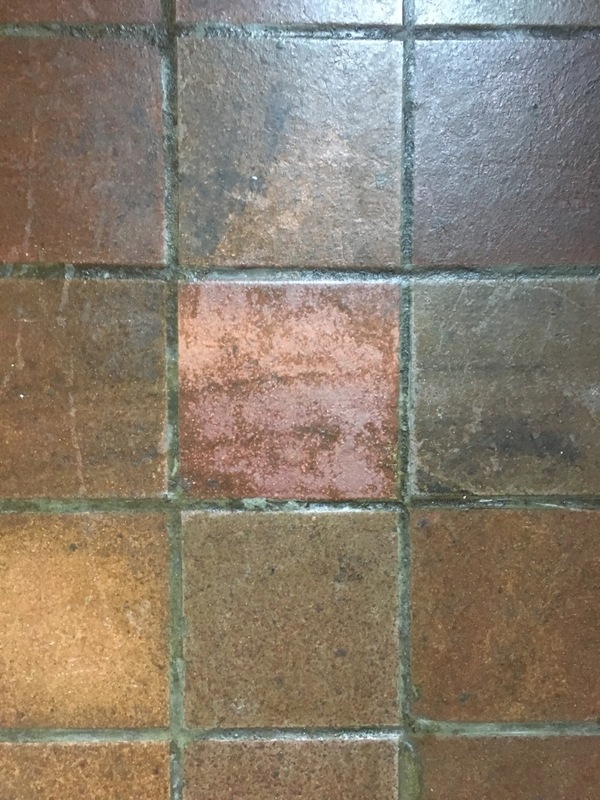 To do this I applied a medium dilution of Tile Doctor Remove and Go which is a strong coatings remover and cleaner that’s ideal for these situations. The product is left to dwell for ten minutes, so it can get to work breaking down the old sealer and dirt and is then scrubbed into the floor. Normally I use a black scrubbing pad fitted to a rotary machine running on slow speed to do this however given the size of the floor I decided to use a deck brush to scrub the tiles and a narrow grout brush along the grout lines. The soiled cleaning solution was rinsed off the floor with water and extracted using a wet vacuum. I then inspected the floor and spot treated any areas that needed further attention with a repeat of the same process. Once I was satisfied the Quarry tile and grout was as clean as it could be, I left for the night so the floor cold dry off. 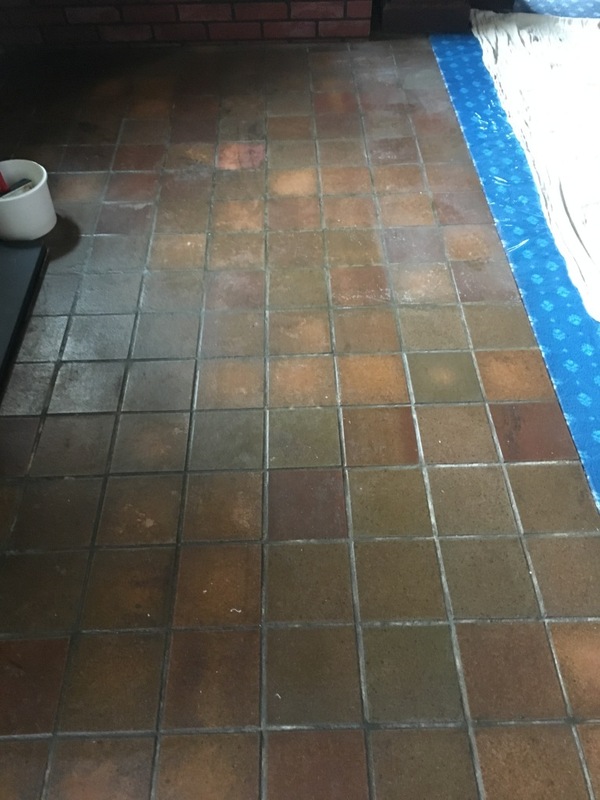 Returning the next day, I sealed the Quarry tiles with several coats of Tile Doctor Seal and Go which adds a nice subtle sheen finish to the tiles and will provide the tiles with long lasting protection. Seal and Go is a water-based sealer so doesn’t leave a smell as it dries which is always a plus. 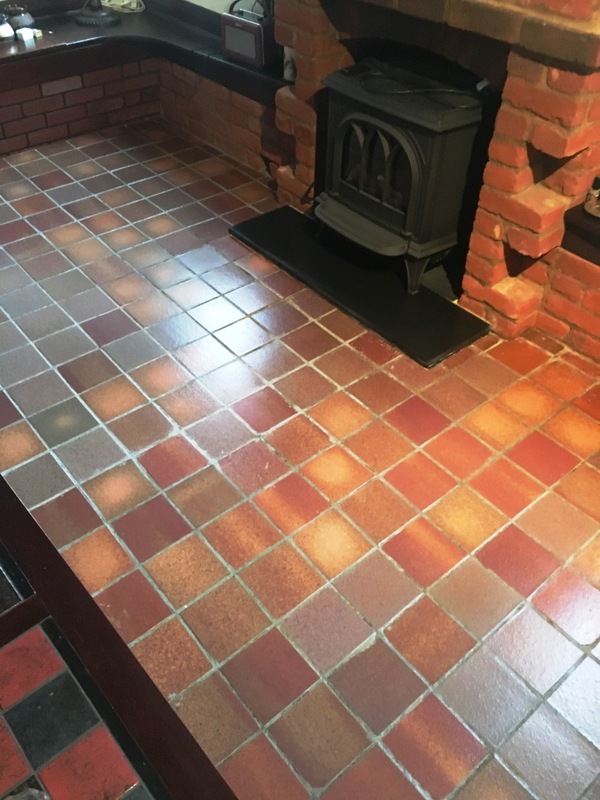 My client was impressed with the transformation and as I think you will agree the Quarry tiles now look much brighter and the grout has returned to a much lighter shade.